The end of a year is the perfect time to review what was and anticipate what the New Year will bring. As a small business owner staying on top of trends can help you navigate important decisions and best position your company in the New Year. Here are small business trends to keep a look out for in 2018. Generic advertising has been on the way out for a while and the practice of personalizing a marketing message will continue to grow into 2018. Personalized marketing outreach is becoming increasingly easy for small businesses to implement thanks to newsletter management programs and social media. A personal touch places an emphasis on the customer and sends the message that your small business is committed to your clients. A great way to put personalized marketing to work for your small business is sending custom newsletters. Casting a wide net and always including everyone on every newsletter may push some subscribers to opt out. Break your newsletter list into segments that correspond to the different products or services you offer. When people sign up for your newsletter list give them the option to choose the topics they receive. Sending specific newsletters to the corresponding list ensures the recipients are likely to value and be interested in the information you share. Social media advertising offers great targeting options that let you reach your demographic. Getting your marketing message in front of a captive audience can help establish your brand or reaffirm your brand with customers and potential customers, alike. The number of businesses advertising on social media platforms continues to grow with the most growth coming from small businesses, so the field is competitive. The payout of advertising on social media can be lucrative and worth the effort. Small businesses have a variety of ways, or channels, to engage with customers. In 2018 look for ways to align all of these digital channels. For example, promote blog posts on social media. Followers who click the link in the post will arrive at your blog, and from there customers can be directed to product pages. Making it easy for customers to navigate through the different digital channels available will inform customers and increase sales. Strong content is a marketing trend that will continue to be important throughout 2018. From your small business’s website to your social media posts content that engages with search engines and interests readers will establish your brand as an authority in your field. Identifying and utilizing keywords ensures your site fares well with search engines and traffic will be driven to your site. Organic traffic, or users who find your site via a search engine, can help grow and expand your brand and build your small business. Customers who may be unfamiliar with your brand will learn who you are and what you have to offer when a search engine directs them to your site. Compelling content featured on social media posts will pull followers in and increase engagement, shares and clicks. Social media is an opportunity for followers to get to know your brand. Interesting posts that your users share will get your brand in front of a wider audience and increase awareness and recognition. In order to be effective your site needs to function well. 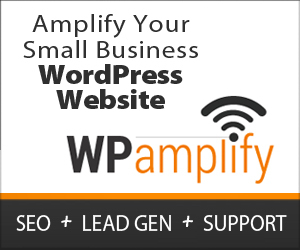 For a WordPress site that means adding plugins to increase visibility and functionality for visitors. As technology changes and trends evolve existing plugins will have updates and new plugins will be added. Routinely check to make sure your plugins are up to date and still a good fit. Also check to see if new additions to the plugin offerings are available that will benefit your site. Incorporating trends into your marketing strategies provides the best chance possible to position your small business for success. Putting the trends that are likely to hit it big in 2018 to work for your small business will define your company and help connect you to customers. Your competitors are likely putting the same trends and techniques to work for their brands, so being aware of and properly executing trends is important to remain competitive and relevant.